Since the Houston market is ultra-competitive these days, I would like to look outside the city and Beaumont, TX came on my radar. I looked at threads pertaining to the Beaumont, and they seem to have a favorable market. Can someone living or investing in the area give some insight on the current ongoings there? Can I also have referrals to good, reputable property managers there? I have identified some properties that I would like to purchase in Beaumont. Does anyone have a good referral for some property managers in the area? @Minh Le Have you tried working with the top realtors in the market to get a few referrals? In Beaumont, Parigi Property Management is #1. They are also the largest. Depends on what you're looking for in a PM co.
Something I'd be concerned with is seemingly every hurricane in the Western Gulf of Mexico goes through Beaumont. @Ryan Cox I will do that to see if they can provide market conditions there as well. Thank @Dannie Davis and @Alex Saleeby for your referrals! @Eric James I thought so too, yet the properties that I am looking at did not flood during Harvey, nor did they had wind damage. Does anyone have insight on the job market and rental needs there? I pulled data from the depart of labor but got nothing out of it. What key metric should I focus on when viewing labor statistics? The report I looked at did not contain unemployment rate. I looked at rent rates on rentometer, and the average rents are showing much lower than what the current owner is charging on these properties, i.e. $525 average rent while current owner is charging $750 - $1,100. My concern is would the higher prices being charged sustainable? The 80/20 rule shows that there should be a market for the higher rent rate, provided you can justify charging that amount. I chatted with the owner quite a bit, as he was onsite maintaining the property, and he spoke of gentrification taking place in the area. Lamar University, which is literally right down the street, has expanded tremendously. However, during my drive around the area, I did not see any new developments/renovations taking place. There aren't many national retailers nearby either, until you get back out on I10, so it's kind of difficult to accept that gentrification is in progress. @Minh Le re: jobmarket, lots of capex spending on-going now and on the books for the next 5-10 years. Areas of Beaumont can be good (eg West Beaumont). While paper returns aren't as great, I would also check out Lumberton and Silsbee, just a few miles up the road. Better schools, a little further inland (although some parts were heavily impacted by Harvey) and it's a preferred area to live by those who have the means and I'm of the opinion that there are better tenants pools in that direction. Call your insurance first and get quotes and keep an eye on taxes as they are high. @Minh Le you are asking very good and loaded questions, ones are may be difficult to answer thoroughly in a thread like this. Think of Beaumont MSA as a miniaturized version of Houston MSA. By that I mean an economy that is mainly driven by the chemical and O&G industries. Beaumont is part of what's referred to as the "Gold Triangle Area" comprised of Beaumont-Orange-Port Arthur. Besides those three main cities, there are a number of cities and towns spread out through Jefferson and Orange counties, each with it's own attributes, so it is a bit difficult to generalize. 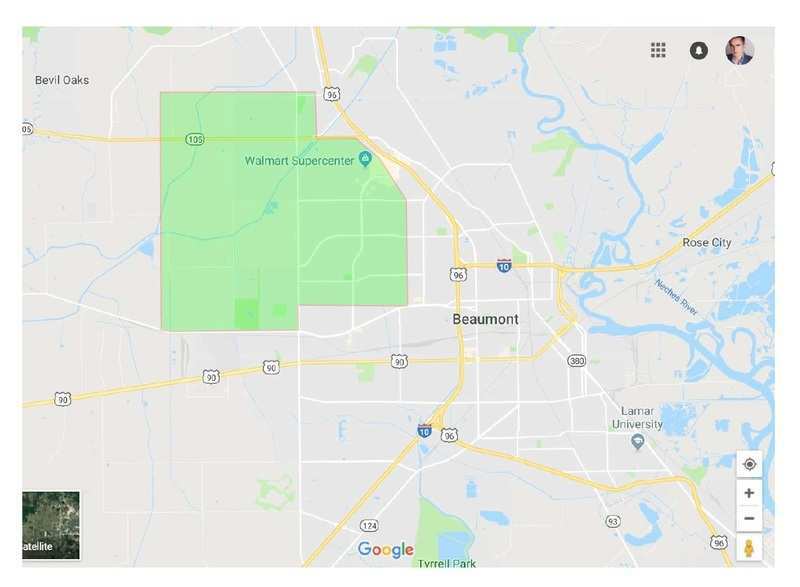 When you speak of targeting Beaumont, are you limiting yourself to the City of Beaumont only? If so, you might be missing out on many other areas nearby. As far as keeping up with happenings in the economy, here's some good resources. In the Beaumont MSA, there are numerous chemical plants (too many to list but include some of the largest refineries and chemical plants in the country). Port of Beaumont is one of the top ports in the nation (ranked 3 or 4, overall, and #1 for military support). LAMAR university is one of the best kept secrets with top notch STEM programs. It is expanding as well. Beaumont is also home to HQ of several known regional companies like Jason's Deli, Tex Joy, Seaport Coffee, etc. Having said that, there are some downsides as well. Overall crime rate is higher than what it should be. City services are not up to par either, in my opinion. Due to the relative small size of the cities and towns in this area, data sources such as rentometer and others may not be so accurate. Rent rates also can vary considerably by the neighborhood and product quality. Your best bet is to work with local agents who know the area well and have expertise in buy-and-hold investing. Depending on what cities and towns you end up targeting around here, you me need to work with more than one agent (avoiding overlap of course). I'm happy to refer you to select agents I know personally and trust. PM if you like more info. Lastly, there are two active REIA groups that meet here monthly. Consider attending. I think I've said enough for now. Good luck. @Minh Le here are some articles on Lamar University's expansion of buildings (both under construction and proposed) along with their record enrollment this last term. I also included a link to their strategic plan, not because it provides specifics, but because I think understanding the mindset of the university as they grow and provide a resource for the STEM industry is useful in looking at the long-term impact of the changes. The gentrification issue is something I'm curious about too. From what I've learned, it seems like the area around the university (maybe most of 77705) is rougher than the other close-in areas (77706/7 and 77713). Is that a fair assessment? @Sam B. could you help an out of towner out and give me a rough boundary for West Beaumont? Maybe North Beaumont too? I've been told that North Beaumont is quite a bit rougher than the rest of town, is that your impression as well? I recognize that conditions are going to potentially be different from block to block, I'm just looking for general perceptions. I use a PM company there. Feel free to PM me for info. I also used an excellent handyman. @Sam B. thanks for the heads up on Lumberton and Silsbee. The owner of the set of properties that I was looking at owned a number of properties in Lumberton. It must be a good place to buy. @Alex Saleeby with the above mentions, I wouldn't be doing myself any good to limit myself to just Beaumont. It just happened that these set of properties were in Beaumont, and I wanted to learn more about the city. Thank you very much for the additional info about Beaumont and what all else to consider. @Mathew Wray I appreciate the insight the ongoings at Lamar University. I was blown away by its expansion and development. All of this may lead to gentrification of the area, which may spark some investment interests there. @John Thedford thank you very much. I will reach out should we procure the properties. Lumberton has exploded with growth. It is 8 miles north of Beaumont. @Mathew Wray I've attached a marked-up map of Beaumont, showing what I concentrated on when considering West Beaumont. I'm not an expert or a long time local but this is my opinion based on 18mo on the ground, researching, living and ultimately picking-up property in the area. Some great new SFH building going on South of 90 that are nice as well as further out West on 90 going towards China, TX. And of course, as already mentioned, where I'll be focusing on moving forward is up North (not shown on the attached map) areas of Lumberton and Silsbee. The major street names are not shown below but you can easily find them on google. *Re: areas around the university, it's nothing I would ever touch. I stuck exclusively to 77706 & 77713. Thank you so much for the map (and advice about the university area)! I'll look into Silsbee and Lumberton too. I completely agree with Sam B. As an investor in the Golden Triangle these are the exact same places I'm focused on. Midcounty is great too, but heavily saturated with competition (Port Neches, Groves, and Nederland). There also pockets of Vidor that are great for rentals. "West-end" with 77706 being the most desirable (and most expensive) with the "best schools". Nothing like spending some time on the ground getting to know the area and working with a competent agent. Note that the Beaumont school district does have its fair share of issues. Generally speaking, school districts outside Beaumont (in just about every direction) are better and more desirable than Beaumont. Nevertheless, this town is still the central hub and area landmark, and home to 120,000+ people. @Minh Le, I would be happy to generate basic heat maps for you that contain general neighborhood desirability. I have lived here my whole life and have lived in all ends of Beaumont, China, Lumberton, Silsbee, Nome, Sour Lake, Mid County as a whole, and some in Port Arthur. Wouldn't mind helping you out if you need a drive by or photo confirmation of a property. I currently work at ExxonMobil for Jacobs engineering, but I used to work the emergency service system for years and can tell you just about anything you would want to know about the undesirable areas. I have been in a good majority of houses in these areas and can tell you if it would be a waste of time or not. I'm not trying to sell myself, I work for RE tips lol. I'm just trying to be useful. Let me know how I can be of assistance. @Minh Le One thing I will tell you is don't expect contractor pricing out here in Beaumont/Port Arthur to be like Houston area. Contractors charge a premium here compared to Houston because they have all the refineries/industry paying a lot more so many licensed contractors are too busy with commercial jobs. I know I'm paying A LOT more here for sheetrock, painting, and flooring for a contractor that can get it done quick here than I would in Houston, but just budget it in when you purchase. I'm paying almost 3x for carpet here compared to my guy in Houston, but I also have a really cheap deal with the one in Houston. @Minh Le We used Lifestyles unlimited to find all of our Houston deals. We are able to find exceptional COC returns and Equity capture on each of our 4 Houston deals. @Jeff Richardson a former classmate of mine at the real estate classes was telling me about Lifestyles Unlimited, and had a lot of good things to say about it. I looked into it, and the mentorship package is pretty steep. I understand that there are a multitude of benefits that come with it, i.e. access to network and tools. But then it brings me back to other programs out there, such as Phill Grove's Big Dog program. How are they different from one another? @Minh Le We received all of our deals from lifestyles by joining at their higher level membership. That means, they find the deal, vet the deal with comps and a contractors bid, and all you have to do is look at the numbers and tell them if you want it. I made back 300% of the cost of membership on my first deal and each subsequent deal was at least 200% return on the membership fee, plus, I didn't have to put any effort into putting the deals together. Lifestyles teaches you to leverage people's time and expertise instead of trying to be a jack of all trades, you can focus on what makes you the most money/hour. If you're looking for a good property manager, I can help! Email me! I am also an agent who specializes in investment properties so I could possibly help you purchase some properties. I know I'm a little late to this party but if you are still looking I'd love to send you over some information about what we do! @Minh Le . Did you end up closing on Beaumont ? Like to hear as I am looking to buy MF in Beaumont. I am from out of state and not familiar with the area. Can anyone comment on buying MF close to Oak Historical District? Major street is between Hazel and 7th? @Ferryawaty Effendi , as far MF properties in Oaks Historic district, especially around 7th and Hazel, you want to proceed with caution for two reasons: Oak District POA as well as neighborhood. Some investors I know make a distinction between the east and west sides of 7th St (west of 7th is more desirable). Type of renters may differ as well. A competent property management co handling matters is highly recommended.